Blue Egg Layers, Dark brown Egg Layers, White egg Layers – All in stock now! 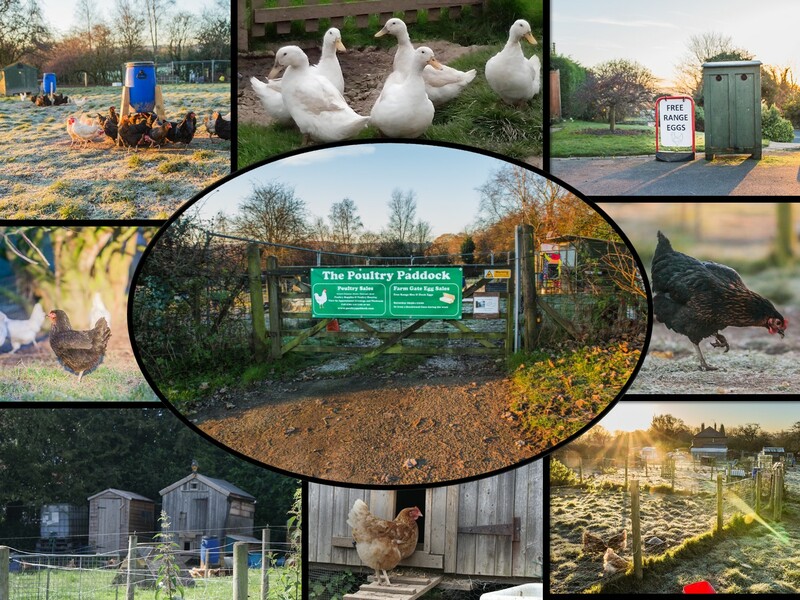 The Poultry Paddock is a family venture located in Newcastle Under Lyme, Staffordshire. We have chickens for sale as well as ducks, quail, Poultry Supplies and housing. It’s just a couple of minutes from Junction 15 of the M6 so it is easy to reach us from surrounding areas, such as the West Midlands and Cheshire. Not just Chickens for Sale! We can supply Chickens, Ducks, feed and accessories including our own poultry healthcare products. So if you are starting out keeping chickens we can supply everything you need to get started. The Poultry Paddock is open by appointment only. Therefore if you want to view the hens please call us on 0782 118 7160 or email us at poultrypaddock@btinternet.com. As well as Chickens for sale we keep our own egg laying flocks at the Poultry Paddock. Almost all of our own birds are the same breeds that you see for sale on this site. Of these our favourites are Blackrocks, Whitestars, Maran Hybrids and Cheshire Blues. This mix of birds provides a great range of different coloured eggs, we get light brown, deep brown, bright white and blue eggs. This is so much more exciting than the boring brown eggs that you get from shops. We apply all the ethical principles to our own flocks that we promote on the webpage. Our birds are kept in small flocks, usually no more than 30 in a house and all the egg layers have freedom to range over the whole site. I only expect to find them indoors if they are sleeping or laying an egg! The site we have provides them with plenty of vegetation, insects and grit to supplement their diet. They also have areas they can shelter and areas that they can have dust baths. Our hens live a long and happy life rather than being culled after a single season as they would be in a commercial poultry farm. We are rewarded with the best eggs for miles. You can buy our eggs from our honesty box, Hen, Duck and Quail eggs are restocked daily. They must be good, we sell out on most days. You’ll only appreciate eggs more than these if you have your own hens. We work with a local food business, Keepers Cottage Organics to rear Organic Chickens at New House Farm in Acton. Wr have meat available this weekend. Fresh Organic Free Range Chicken, some Pork still available. Frozen Chicken Breasts in packs of 2. These prices are for collection from our farm or at Rode Hall Market on Saturday or Abbey Leys Market on Sunday. These little'ns aren't even 3 weeks old and they're already out and about enjoying the sunshine! We've got plenty of fresh eggs for sale from our free range hens kept on the Poultry paddock on Northwood Lane. Standard eggs are £1.50 for a box of six. Eggs are restocked daily and are sold on a first come first served basis. Our Organic Chickens are available this weekend! Locally reared in Newcastle Under Lyme by Keepers Cottage Organics. Or collect from the Organic shop at New House Farm, Acton, ST5 4EE on Friday 22nd March or Saturday 23rd March. All our produce is from organic certified animals that are free to roam on healthy, rich pasture that is free from herbicides and pesticides. We employ the highest animal welfare standards and farm in a sustainable way that takes care of our environment. Geese have started to lay.... Must get some bigger boxes! Pure Honey is back in stock. 2019 Poultry Season is underway - we have the first Hybrid Hens for sale now.